Rafiqul Alam works as a consultant at Sattar&Co. working with Barrister Sattar primarily on company formation and undertaking formalities with the Registrar of Joint Stock Companies and Firms. 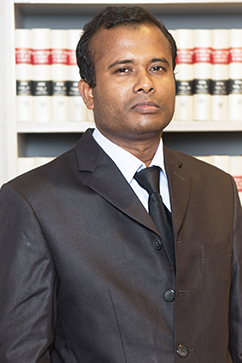 Mr. Alam is an Advocate of the Dhaka Judge Court with specific expertise in company laws and related matters such as company registration and filings. Mr. Alam’s areas of interest include company and intellectual property laws.